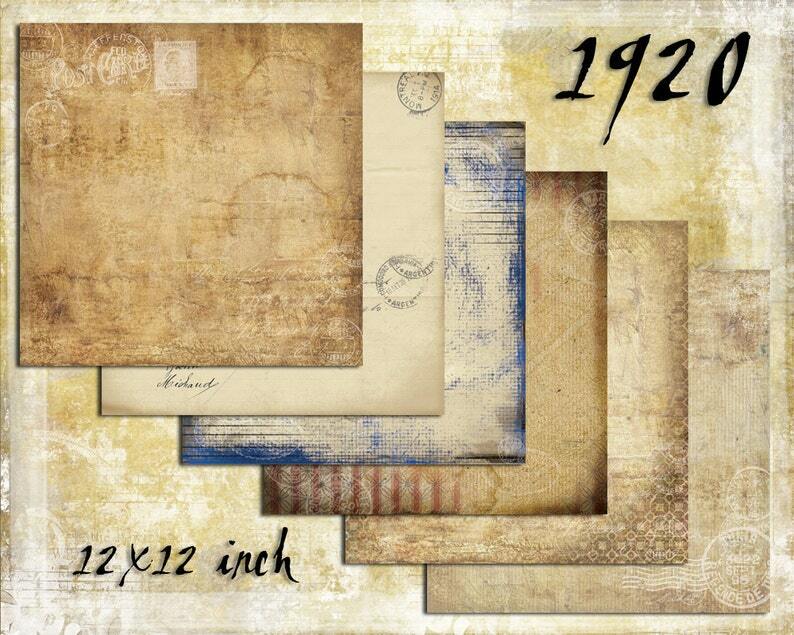 This digital paper pack contains 6 sheets of 12x12 inch papers, inspired by vintage 1920's grungie textures. A very versatile collection which would work well for any gender and would lend itself well to steampunk style. Remember that these files can also print at 8x8 inches or the total width of standard printer paper A4/Letter.